Doug Kelley, The Human Being -- Kelley Training Systems, Inc.
• Born in Salt Lake City, Utah in February 1959 (almost born in Japan where his parents were missionaries--no, he wasn't a Mormon). • Watched JFK’s funeral on a black & white TV along with his dad at 4 years old. • "The Adventures of Superman" with George Reeves was his favorite TV show and superhero at 5 years old (and might still be:-)). • Gave first public-speaking presentation at 7 years old . • Discovered Star Trek one Friday evening at 9 years old while his parents entertained guests (thus began his fascination with science, science fiction, unexplained mysteries, and the paranormal). • Moved to Denver, Colorado when he was 11 years old. • Has one brother and one sister. • Grew up in an alcoholic home (his mother). • Traveled the western U.S. frequently with his father while on business trips during the ages of 7 to 11 years old. • Landed first job as a dishwasher in an Italian restaurant for $1.50 an hour at 14 years old . • Became assistant manager at a fast-food restaurant at 16 years old; became manager at 18 years old (this is where he met and worked for his Mentor, Sal Balderrama and his wife, Debbie. 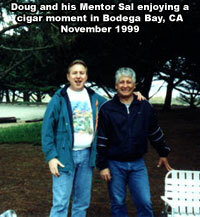 The friendship continues to this day more than three decades later). • Quit high school after the 10th grade at 16 years old (later attained his GED). • Started a band named "Tabu" when he was 18 years old and played professionally (guitar, vocals). • Owned his first motorcycle at 18 years old. 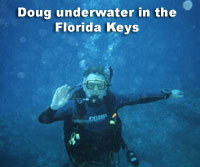 • Became certified in SCUBA diving at 19 years old. • Moved to Spearfish, South Dakota at 19 years old. • Caught Strep Throat at 19 years old and was so sick he was afraid he wouldn't die :-). • Owned his first boat at 20 years old. Recorded in Rapid City, SD, winter, 1979. Mastering not completed. • Had written over 60 songs and recorded an original song ("My Lady") by the time he was 20 years old. The song was not completely mastered (finished) before running out of money, and to make it impossible to ever finish mastering it, the studio owner recorded over the master tape with his wife's piano playing. Nonetheless, like a parent who thinks their baby is the cutest of all, this recording is music to Doug's ears! UPDATE: Doug re-recorded My Lady in 2017. The new version is available at www.dkmusic.us. • Worked as a DJ at a radio station while going to school at 20 years old. • Graduated with a degree in Electronics at 22 years old (strongly considered going on to become an astrophysicist). • Began a career in office equipment service at Continental Office Products, Inc. (COPI), Rapid City, South Dakota at 22 years old. • Married at 22 years old. • Purchased first home at 22 years old. • Personally removed an old engine and installed a new one in his car at 23 years old. • Finished first in office equipment certification class with a 100% score at 23 years old (this placed him in the top 2% of technicians nationwide). • Lived in Evansville, Indiana for 1 1/2 years where he owned a tile-setting and floor refinishing business at 24 years old (then back to Spearfish, SD). • Was a father to his only child (son) at 27 years old (Michael Shea Kelley born in Deadwood, South Dakota). He was present for the birth and vividly remembers seeing the "little man" emerge into the big world. • Was in bed sleeping after working all night when he awoke to the news of the Space Shuttle Challenger exploding. He was 27 years old. • Moved from office equipment service to sales at 29 years old. • Closed the biggest sale in his company's history at 30 years old ($100,000). • Wrote an inventory program in Quick Basic for an aviation company in Gillette, Wyoming and sold it for $300 at 30 years old. • Started his own office equipment business (Black Hills Copiers, Inc.) at 31 years old which grew into two locations (this is where he gained much of his management and leadership experience). • Personally finished the basement in his home at 34 years old (included all carpentry and electrical work (and this wasn't the first time). • Went to Europe (Germany, Luxembourg, & Austria) with his parents and family at 34 years old. • Moved to Port Charlotte, Florida at 37 years old. • Passed his Series 7 Security test and became an Investment Representative for Edward Jones Investments at 38 years old. • Began taking flying lessons at 38 years old (with 10 hours and a landing under his belt, he had to discontinue due to personal problems with an alcoholic wife. He hopes to eventually return to flying and get his private pilot's license). 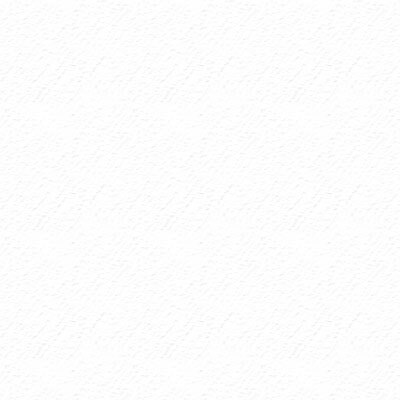 • Started his first website, www.DougKelley.com (this website), at 39 years old. • Ended an 18-year long alcoholic marriage at 39 years old; lost his home, many of his belongings, and good credit rating as a result; took his son and moved into a smaller home (his now ex-wife died in January 2005 at the age of 42 due to alcoholism). • Escaped a religious cult (Jehovah's Witnesses) at 39 years old; lost all of his family and friends who remained in the religion . • Married Tracy, his best friend, at 40 years old (Tracy also escaped an alcoholic marriage as well as the same cult). • Became a step-dad to two more sons, Dom and Nick, at 40 years old. • Wrote and published his first book, "The Game Rules for Life," at 40 years old. • Began a period of more serious and intense self-development at 40 years old (and it hasn't stopped yet). • Made it through several years of disillusionment as well as an existential crisis as a result of his escaping the cult. Changed his philosophical views from Christianity to Agnostic "Dougism" with an extremely open mind at 40 years old. • Launched a website called TruthQuest at 41 years old with articles to help Jehovah's Witnesses escape the High Control Group. • Celebrated Christmas for the first time in his life at 41 years old. • Celebrated his birthday for the first time in his life at 41 years old. • Visited the boundary of Area 51 with Tracy at 41 years old; brought back souvenirs from the Lil' Ale' Inn in Rachel, Nevada. • Left Edward Jones Investments and became a professional speaker at 41 years old . 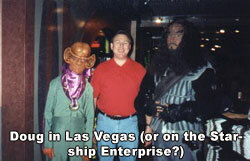 • Became a "Certified Seminar Leader" (CSL) from The American Seminar Leaders Association at 41 years old. • Started Kelley Training Systems, Inc. at 41 years old (later dissolved it to pursue a metaphysical ministry). • Began writing and developing many ideas regarding life, religion, God, the paranormal, management, communication, leadership at 41 years old. • At 42 years old, founded www.EmpoweredRecovery.com, a unique self-help approach that candidly helps the friends and families of alcoholics recognize, understand, and resolve an alcoholic relationship; He began writing the "Alcoholic Relationship Survival Guide" (318 pages), a comprehensive and authoritative work that has helped many people resolve toxic relationships. He completed it in July 2006. He and Tracy also recorded a 3-hour audio program entitled, "Candid Conversations". • Was at home mowing the grass one morning when his wife, Tracy, called him from work and asked, "Have you seen the news?" The date was September 11, 2001. He was 42 years old . 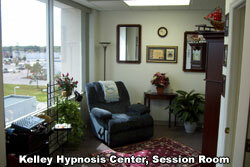 • Became a Certified Hypnotist (CH) and opened a hypnosis / coaching practice at 43 years old. • Contracted with Fred Pryor / CareerTrack Seminars as well as National Seminars at 43 years old and began presenting over 150 seminars a year across the U.S. and Puerto Rico. • At 43 years old, his father passed away in October 2002 (he had already lost his relationship with his father as a result of leaving the cult). • Began working on several management and leadership books at 44 years old (these were later published as courses). • Began writing his first novel at 45 years old (SPIRITeam: Occam's End). 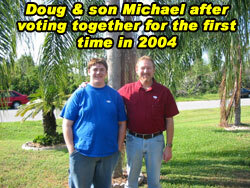 • Voted for the first time in his life along with his son, Michael, at 45 years old (previous religion prohibited voting, and no, he didn't vote for Bush). • Moved into a bigger home with a pool at 46 years old (thus signifying recovery after some painful years). • Completely cut off his relationship with his alcoholic mother at 46 years old (due to her increasing emotional blackmail; she was the only one of the cult members who did not shun him, but alas, her behavior became too much to bear). 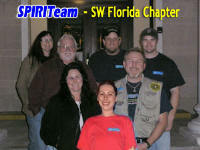 • Founded the Scientific Paranormal Investigation, Research, and Identification Team (SPIRITeam) at 46 years old to investigate the paranormal. • Received the first season of "The Adventures of Superman" with George Reeves as a Christmas gift at 46 years old (gee, does everything really come full circle?). 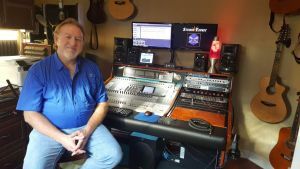 • Completed writing the Certified Paranormal Investigator (CPI) Course in September 2007 at 49 years old. .
• Recorded 8 episodes of the Life Leadership Podcast at 48 years old to encourage listeners to "Listen, Think, Learn, Grow, LIVE!" 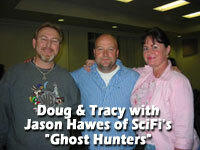 • Began doing a weekly paranormal online radio show with his good friend, Grant Rubendunst, at 49 years old. The show is now known as ParaNexus Universe. It was discontinued after over 150 episodes and over 150,000 archive listeners. • Founded ParaNexus Anomalous Research Association in 2008 along with Jari Mikkola at 49 years old to focus on paranormal education and research. Took full responsibility for ParaNexus in January 2009. Incorporated ParaNexus as a 501(c)(3) non-profit in September 2009 and established a Board of Directors to aid in the organization's growth and perpetuity. • At 49 years old, completed writing the Certified Leading Paranormal Investigator (CLPI) Course and the Certified Leading Professional (CLP) Course (for business leaders). • Founded the International Church of Metaphysical Humanism, Inc., the Institute of Metaphysical Humanistic Science, and the International Metaphysical Practitioners Association in 2010 at 51 years old. These organizations were established as a culmination of Doug's life experience in human development, training, coaching and counseling, research into the human condition, anomalous research, and helping people to get past the things that hold them back. These organizations were an expanded vehicle to further "leave the woodpile higher than he found it." These institutions not only offer people hope in the form of alternative ways to view existence, but also non-academic PhD degrees in Metaphysical Science with a variety of specializations such as life coaching, counseling, holistic healing, hypnosis, and paranormal science. Other classes and certification courses are also offered. • Began doing an online radio program / church service at 51 years old which continues to the present. • Launched International College of Humanistic Science at 53 years old to offer and focus on standalone and certification courses in metaphysically-related topics. This school has since been renamed to Thomas Francis University. • Created the One Planet Accord and the One Planet Flag in 2013 at 53 years old. 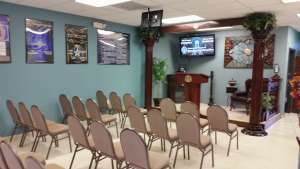 • Opened a metaphysical center at 55 years old (2015) located in North Port, FL as an extension of ICMH Church where he did a video version of the weekly church service. Unfortunately, it was closed a year later due to a lack of sufficient interest. • Reprised his music at 57 years old (2016); began recording the music he had written as a young man and posted them at www.dkmusic.us. • Has been in 49 states + Washington D.C. to date (Alaska remains); Has visited Mexico, Puerto Rico, the Bahamas, Germany, Luxembourg, Austria, and Canada. • Has completed nine published books, numerous self-development and metaphysical courses, several ebooks, and many articles on the topics of human development, communication skills, leadership skills, and paranormal research. 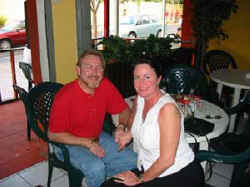 He also has designed and created all of his websites and graphics, and done the same for several others. • Doug is a very eclectic person, and there is very little he cannot do... website design to handyman abilities to computers to graphic design to leadership and management to coaching/counseling and beyond. One of Doug's core philosophies is, "How hard can it be?" • Doug's dream is to open a training and research center by 2020 that will focus on researching and understanding the human condition by way of metaphysical philosophies, anomalous research, and education in practical life-skills. It will also feature training of all kinds to help people get past the things that hold them back. This complex will be used for seminars and retreats that will help people grow as human beings. This will include everything from metaphysics to anomalous research skills to restoring and healing their self-esteem to enhancing their personal and professional communication skills, relationship skills, and leadership skills, and more. • Doug Kelley... professional speaker, trainer, coach, author, business man, minister, hypnotist, broadcaster, songwriter/musician, paranormal investigator, father, best friend, husband, alcoholic relationship survivor, cult survivor, Agnostic Dougist, philosopher, poet, musician, explorer, shunned one, and... Real-Live Human Being. "The world is my country and to do good is my religion."